GIVEN THE NEVER-ENDING SHORTAGE of hospitalists, many programs have embraced the idea of hiring nurse practitioners and physician assistants (NPs/PAs). 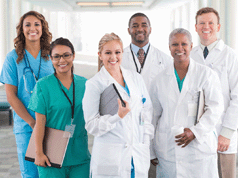 But for most groups, hiring nonphysician providers is just the first step in a long process. Groups that have carved out the right roles for NPs/PAs—and many don’t, by their own admission—say that the process can take years of trial and error. And what works for one program might be a total flop for another, which is why a list of best practices for NPs/PAs in hospital medicine has yet to emerge. To get an idea of what’s worked and what hasn’t, Today’s Hospitalist spoke with four programs that have successfully integrated NPs/ PAs into their groups. Here’s a look at their experiences. St. Peter’s Hospital, Albany, N.Y. 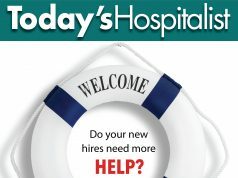 The hospitalists at St. Peter’s Hospital in Albany, N.Y., began working with NPs and PAs a decade ago, in part as a response to recruiting woes. While that fairly common strategy offloaded work from weary hospitalists, the “rounding adjunct” model proved less efficient because the NPs/PAs didn’t have continuity of care with the patients. That’s when the group began experimenting with different possible roles.The group started by having NPs/PAs round with the hospitalists and do “whatever needed to be done,” Dr. Dalfino says. That included running down test results, handling family discussions and queuing up items for discharge. Now, NPs/PAs—who work days in 10-hour shifts—continue to round, but with a twist. Two are assigned to five or six rounding hospitalists and take two patients from each. While the hospitalists see 15 or 16 patients a day, the NPs/PAs each have 10 or 11 patients who tend to be more socially complex. Rounding NPs/PAs also handle patients with time-consuming (and paperwork-heavy) discharges, such as those going to assisted living for the first time. The rounding NPs/PAs also do some hospice and orthopedic comanagement, while two other NPs/PAs work with the admitting hospitalist to expedite admissions. Still another NP/PA fills a new role in the group: holding onto the pager for ED calls (as well as those from the transfer center and for transfers out of the ICU), a job that used to go to the admitting hospitalist. The group gave that job to an NP/PA because the hospitalist holding the pager was often overwhelmed with supervising the NPs/PAs doing admissions and taking ED calls. Now one NP/PA takes the calls from the ED, gets up to speed on patients from the ED attending, enters interim orders, and distributes patients to a hospitalist or NP/PA. Another NP/PA works nights, supporting one or two nocturnists. All the NPs/PAs rotate through all services, by design. “We want them to be able to work effectively in every setting or service,” she says. The NP/PA team leader, Erin O’Brien, MPAS, PA-C, sits on the hospitalist executive committee. According to Ms. O’Brien, “the NPs/PAs like the variety and the fact that we have a lot of autonomy.” At the same time, she adds, the NPs/PAs would prefer to work with fewer hospitalists at a time and have more continuity in their day-to-day roles. Lucas Shelly, DO, the associate medical director of Summit Hospitalists in Chambersburg, Pa., knows all about changing bylaws to clear the way for NP/PA admissions. One of his group’s NPs is a former night nurse who wanted to continue working only nights and needed to be able to admit. As for the other NPs/PAs, the group has continuously piloted new roles for them over the past six years and has done “quite a bit of tweaking,” Dr. Shelly says. Hospitalists tried having NPs/PAs round on their own patients, with only limited success. “That seemed to depend a lot on the individual practitioner’s personality and background,” Dr. Shelly recalls. At the same time, the hospital and health system began pressuring the hospitalists to better manage observation patients and get them dispositioned more quickly. “I was asked to provide a hospitalist just to cover the observation unit, but because our overall staffing is always in a pinch, that was difficult to justify,” says Dr. Shelly. “I said we would commit an NP/PA, and we recruited very specifically for that role. The group now has two NPs/PAs covering the observation unit, which has an average census of 20. A collaborating hospitalist also covers observation, admitting all observation patients and outlining a care plan that the NPs/PAs follow. The hospitalist also steps in if a patient deteriorates. The observation unit also has a dedicated social worker and care manager. 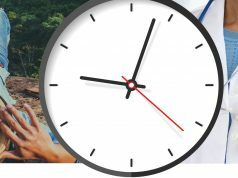 With the new NP/PA model, observation length of stay has dropped from an average of 36 to 27 hours, putting the program in the top quartile nationally. Dr. Shelly acknowledges that observation patients do involve some triage. “Some people say observation patients can be the most difficult because you don’t know what’s going on with them, but we haven’t had problems,” he says. “Have we had patients crash? Yes, but it’s while you’re observing them—and the NPs/PAs know ACLS as well as I do.” Both the NPs/PAs who cover observation are former ED nurses, he notes, a factor he feels has contributed to their success. Last fall, the group began piloting another NP/PA role: a consult service. NPs/PAs now take all consult requests, including for orthopedics, behavioral health and the rehab unit, and follow those patients during their stay. Many consults are for diabetes or hypertension management. “We have a pool of these patients every day,” Dr. Shelly says. While the program isn’t yet fully launched, the plan is to have one NP/PA on the consult service and one on observation 7 a.m.-7 p.m. daily. Despite the group’s progress working with nonphysicians, there’s one persistent problem: the range of hospitalists’ comfort levels with NPs/PAs. Hospitalists’ reluctance to work with advanced practitioners hasn’t been a problem for MedBridge, a company in Morgantown, W. Va., that provides both acute and post-acute care. As Sanjay Bharti, MD, the MedBridge CEO who directs the company’s hospitalist program explains, he hires only those hospitalists who clearly want to work with PAs. That’s because MedBridge takes the typical hospitalist-nonphysician model and turns it on its head. For one, the PAs outnumber the hospitalists in a service that covers three acute-care hospitals, a rehab hospital, two nursing homes and a transitional care clinic. Also, the group pairs one or two PAs with each hospitalist, with each team seeing approximately 30 patients a day. In the acute care hospitals, the MDs and PAs work in geographic units, which each also has a charge nurse, pharmacist, case manager and social workers. Each MD rounds on every patient, then the PA handles all the details outlined during rounds, allowing the physician to begin supervising another PA who comes in to cover admissions and consults. The key to the model’s success, Dr. Bharti maintains, is having the hospitalists work essentially as consultants. 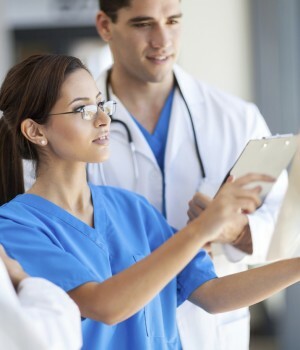 While they focus on medical decision-making and spending time with patients, the PAs take care of the documentation, computerized order-entry, discharge coordination and medication reconciliation. They also make all the post-discharge phone calls and staff the transitional care clinic. “This is the most effective way to practice hospital medicine,” says Dr. Bharti, who has been in the field nine years. The model is his response to the proliferation of quality and performance metrics and regulations that, in his view, drain the satisfaction out of medical practice. Dr. Bharti acknowledges that the practice model has raised some eyebrows, noting that some critics have claimed his group is staffed by “high-priced transcriptionists.” His response is to cite the group’s 8% readmission rate and its 5% annual attrition rate among hospitalists and PAs. But he is quick to admit that the model wouldn’t work without a very robust PA training program. “We spend six months training them before they start providing any type of patient care,” says Dr. Bharti, noting that one PA dubbed the training program “Bharti’s Boot Camp.” After a year, the PAs start spending some time in the ED, handling admissions. At that point, they’re usually ready to perform most procedures, including central lines and ventilators, and they can recognize septic shock. “It’s a very steep learning curve,” Dr. Bharti says. “Within a year, the PAs should be able to handle almost all medical problems, and the hospitalists should be comfortable with the PAs’ knowledge and skills.” He tends to hire newly-graduated PAs because he finds it easier to train them in the group’s culture than to train PAs with previous experience. St. Joseph’s Hospital Health Center, Syracuse, N.Y.
At St. Joseph’s Hospital Health Center in Syracuse, N.Y., the onboarding process for NPs/PAs is also extensive. But James Leyhane, MD, the hospitalist service director, says that he’d like to see that process changed. The NPs/PAs have their own department, cost center and director, Dr. Leyhane explains, and they spend several months rotating through many areas of the hospital during their training. By the time they get to the hospitalist service that hired them, “there’s hardly any time for a hospitalist-focused orientation,” he points out. “We just have to get them on the floor.” Dr. Leyhane wants that arrangement reversed so that NPs/PAs spend most of their training time with the group. In addition, the NPs/PAs have “a pretty flat pay scale,” with the medicine NPs/PAs at the lowest end— a policy Dr. Leyhane completely disagrees with. Not surprisingly, many NPs/PAs end up going elsewhere after a few years. 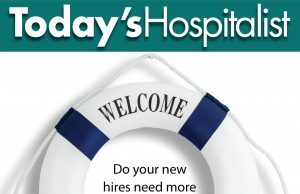 He would like NPs/PAs to be a part of the hospital medicine department, give them contracts, require a 90-day—not 30-day—notice when they leave, and “create an incentive plan to boost performance.” “We’re finally in the process of changing this to align the advanced practice clinicians with the actual service where they work,” Dr. Leyhane says. Like other hospitalist groups, the physicians at St. Joseph’s have tried several roles for NPs/PAs over the past eight years. The current configuration is to staff one NP/PA on each of the three 12-hour shifts that hospitalists work. One NP/PA works 7 a.m.-7 p.m. with the admitting hospitalist and in the observation unit. On the noon-midnight shift, an NP/PA works with the afternoon admitter and then cross covers 7 p.m.-midnight after the day hospitalists leave. A third NP/PA works either 7 p.m.-7 a.m. or 10 p.m.-8 a.m. Until midnight, that NP/ PA assists with admissions, then shifts to the floors. In the second pilot, NPs/PAs rounded on the floor, taking a few patients from each hospitalist. That didn’t work well either. “When the NP/PA had to report back to three to five hospitalists, it wasn’t very efficient,” says Dr. Leyhane. “Besides, we really couldn’t get a handle on what the NP/ PAs were doing because we weren’t billing for them.” In addition, NPs/PAs were tasked with assignments they shouldn’t have been given, like discharging complex patients whom they’d never met before the day of discharge. When the hospitalists did start billing for the NPs/ PAs, they uncovered a lot of duplication. “We found it wasn’t effective to have an NP/PA round on a patient and have a hospitalist come by later and see the same patient and document, just to bill at the higher rate,” he explains. They also uncovered, Dr. Leyhane adds, wide variability in productivity. The group has considered giving NPs/PAs their own service in some clinical areas, and it has come close to that in the observation unit. But how well it works depends on which NP/PA is working. “Some function very independently, and some want to run everything by the attending,” Dr. Leyhane notes. That makes it challenging to operationalize. On the plus side, the NPs/PAs do a great job managing patients with chest pain, which includes more than half the patients in observation. “If the stress test comes back negative, the NP/PA calls the attending and asks to send the patient home,” he says. And he finds that the NPs/PAs are most effective providing cross coverage. On the 12-hour admitter shifts, for example, hospitalists can handle only six to eight admissions if no NP/PA is cross covering. With an NP/PA on the team, that number jumps to between 10 and 12. Dr. Leyhane admits that providing cross coverage may not be the most satisfying role for NPs/PAs, and that many would prefer their own patient list with an assigned hospitalist for backup. “But admitting hospitalists really appreciate the cross coverage,” he adds.